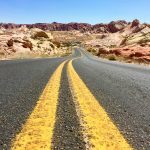 Hit the road in style with your travel trailer or motorhome with these fun and inexpensive RV Decor Ideas! I’ve got some budget friendly RV Decor Ideas that are going to have you hitting the road in style just in time for your next adventure! 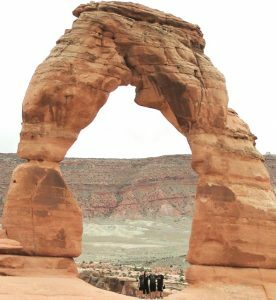 There is something that is so wonderful and freeing about traveling in your RV. Whether you’re camping at a peaceful spot in the woods, or out exploring an incredible national park for the first time, your RV is the perfect ingredient for having an adventure. 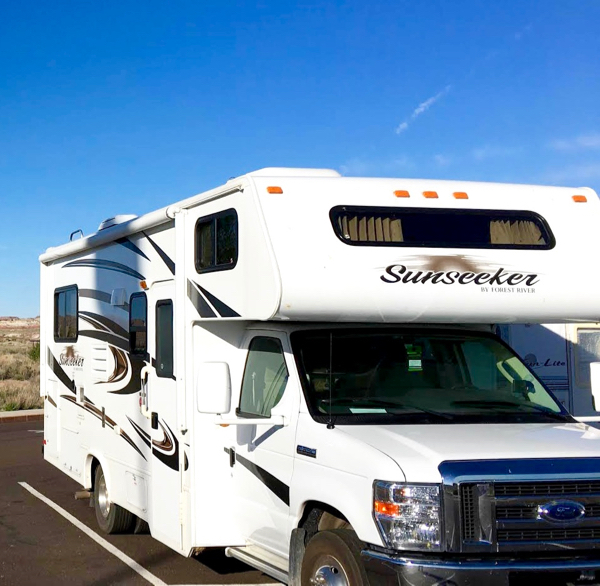 It’s time to make your RV feel more like home, because that is exactly what it is anytime you hit the road and head off into the sunset! 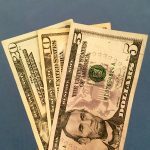 How to Earn Money on the Road as You Travel! 1. Pop a Toothbrush – Hang your toothbrushes on this wall mounted Pop-a Toothbrush! This is a seriously epic addition to any RV bathroom! 2. Decorative Shower Curtains – Upgrading your shower curtains is an easy way to change the look of your RV bathroom! 3. RV Towels – An easy way to spruce up your RV kitchen is with these fun RV towels! Talk about easy transformation! 4. Happy Camper Tea Towel – Why use an ordinary kitchen towel in your RV kitchen when you can use this totally fun towel instead?? This Happy Camper Tea Towel is great for drying your dishes and glasses, and is an easy way to add some charm to your kitchen! 5. RV Salt and Pepper Shaker – When you’re traveling in your RV, there’s no reason to use any ordinary salt and pepper shaker when you could use an RV Salt and Pepper Shaker combo! There is something that is purely awesome about having this at the dinner table! 6. 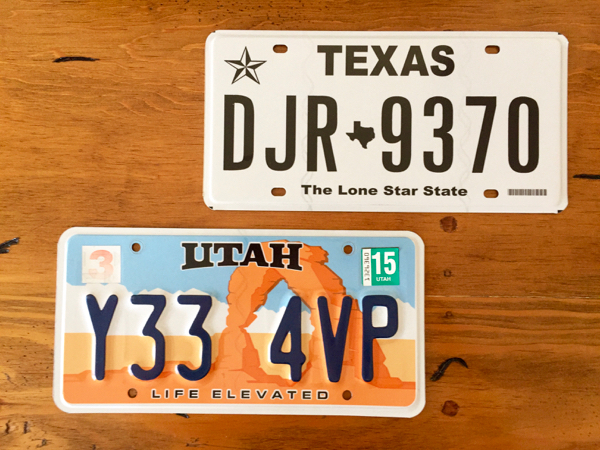 RV Plates – Also, there’s no reason to use normal plates when you could get some fun RV themed plates! 7. RV Coffee Mugs (Wanderlust White) – Get some travel vibes on with this RV themed coffee mug! 8. RV Coffee Mugs (Beary Green) – This coffee mug is great for camping in the woods! 9. RV Coffee Mugs (Starry Night) – Get in the mood for a little winter traveling with this coffee mug! 10. Nautical Compass Travel Pillow Cover – This pillow cover is such an inspirational addition to your RV, especially if you love boating, too! 11. Never Stop Exploring Travel Pillow Cover – This pillow cover will inspire you to keep on traveling, and to visit more breathtaking destinations in your RV! 12. Not All Those Wander Are Lost Travel Pillow Cover – This inspirational travel pillow cover will add a touch of wanderlust and adventure to your RV, and is an inexpensive way to change the look of your RV! 13. 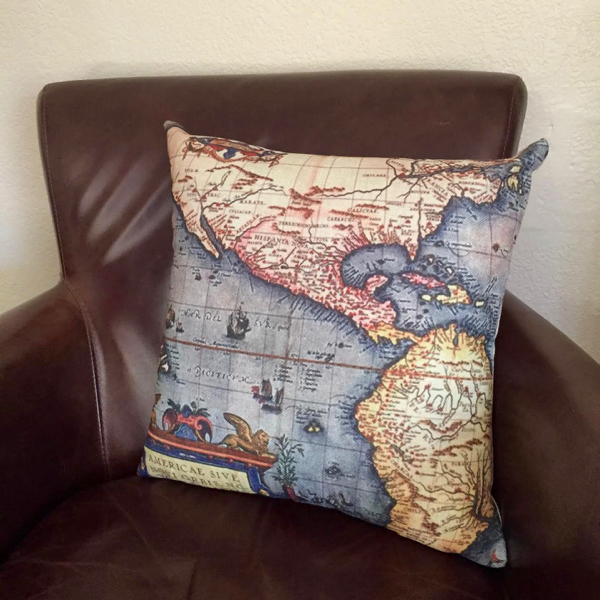 Retro USA Map Nostalgic Pillow Cover – Want a cool way to show off the USA in your RV?? This retro map pillow cover is such an interesting way to totally transform the look of your RV! 14. Vintage American Map Nostalgic Pillow Cover – This Route 66 themed pillow cover is the perfect way to give your home away from home a nostalgic feel! It’s time to visit the 50 states!! 15. Home Is Where You Park It Nostalgic Pillow Cover – A really fun way to celebrate the fact that you can park your home wherever you want is by decorating your motorhome or travel trailer with this fun pillow cover! 16. Lets Travel Vintage Themed Pillow Cover – Add a pop of retro fun to your RV couch or bed with this fun pillow cover! 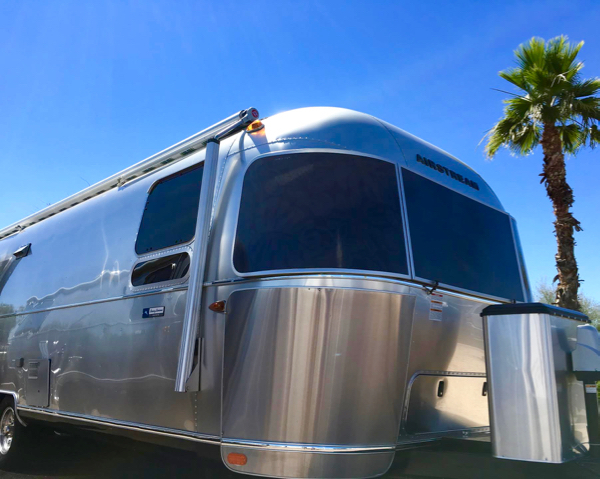 It’ll give your RV a fun travel vibe, and is overall such an inexpensive way to transform the look of your home on wheels! 17. Road Trip Vintage Themed Pillow Cover – This washable pillow cover is the best way to get into the road trippin’ spirit, and express your love for your home on wheels! It’s also the perfect way to own a pink RV without actually owning a pink RV!! 18. Camp Rules Sign – This camp rules sign is such a great reminder to head on out to the woods, and relax! 19. Welcome to Our Campesite Sign – This camping sign is a seriously funny addition to any RV! 20. Nothing Beats Camping Ornament – Nothing really does beat camping. Plus, this ornament is great for adding a little Christmas cheer to your RV! 21. RV Photo Frame – One of the more interesting and fun ways to frame a favorite family photo is with an RV Photo Frame. They’re inexpensive, and perfect for any RV lover! 22. Never RV Alone Magnet – Got a furry friend who goes camping or traveling in your RV with you?? Then this magnet is the perfect addition for your RV! 23. RV Parking Sign – This RV parking sign is such a funny and humorous addition to any motorhome or trailer! 24. Home is Where We Park it Metal Sign – Another way to express your love for your RV is with this ‘Home is Where We Part It’ metal sign! 25. USA State Clocks – Skip the ordinary clock in your RV and use one of these totally fun rustic State themed clocks instead! These state clocks are an easy way to add some flare to your RV and they take zero extra space! 26. 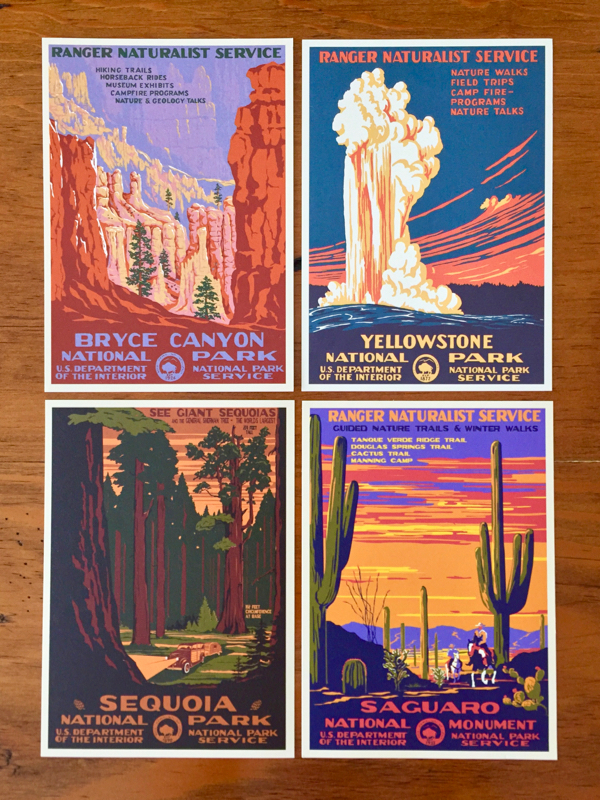 Frame Vintage National Park Posters – A fun way to show off your favorite National Park, or to look forward to an upcoming trip is by framing these vintage National Park Posters. They’re great for giving your RV a vintage travel theme and keeping track of all the fun places you’ve taken your RV!! 27. 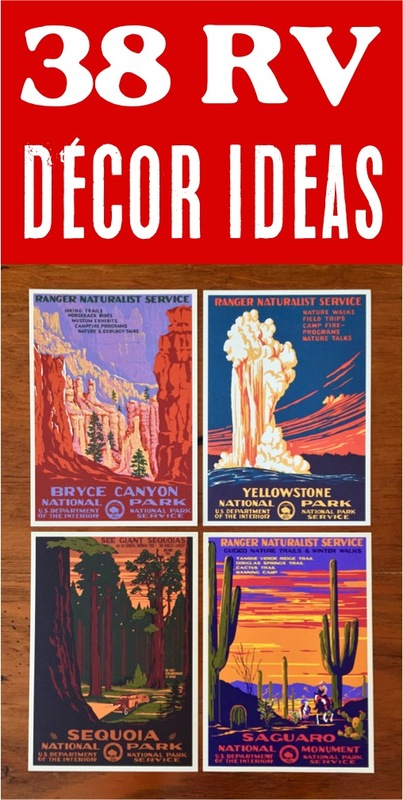 …Or Vintage National Park Post Cards – A space saving and budget friendly alternative to the National Park Posters is to frame vintage national park post cards! You can pick up them up for about $1-2 in most National Park visitor centers, or you can buy larger packs to get a better deal. 28. State License Plates – A cool way to show off your home state is by hanging any old license plates you no longer use. Talk about free decor! 29. Antique License Plates – Another way to give your RV a retro feel while hanging license plates is to simply hang antique license plates! 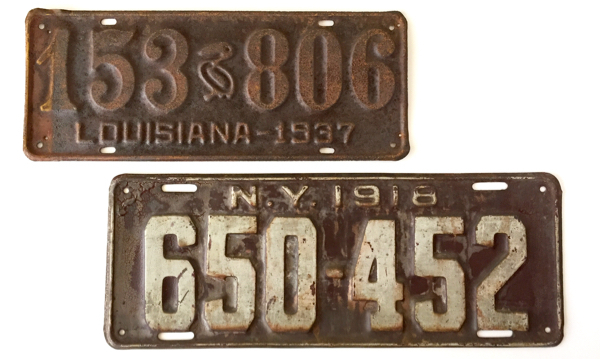 It’s also a great score if you can find one from your home state, because then you can combine the vintage/license plate themes! 30. Route 66 Sign – If you’re a fan of Mother Road or just want to add some fun nostalgia to your RV, this Route 66 sign is the perfect addition! 31. Frame Antique Letters – Give your RV a totally unique, vintage look by framing antique letters. 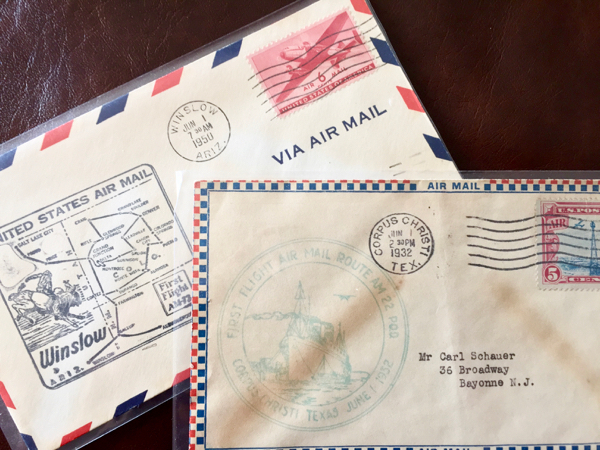 You can find antique letters at most antique stores for just a couple of dollars, too! 32. USA Scratch Map – An awesome way to show off the U.S. states that you’ve visited is by hanging a USA scratch map! With it, you can look forward to scratching off more and more states when you travel to new places! 33. RV Sticker Map – Or, an alternative to the scratch map is an RV sticker map! Every time you visit a new state, you can look forward to adding a new sticker! So many times, it’s easy to completely revamp the interior of an RV, and then forget about the outside. 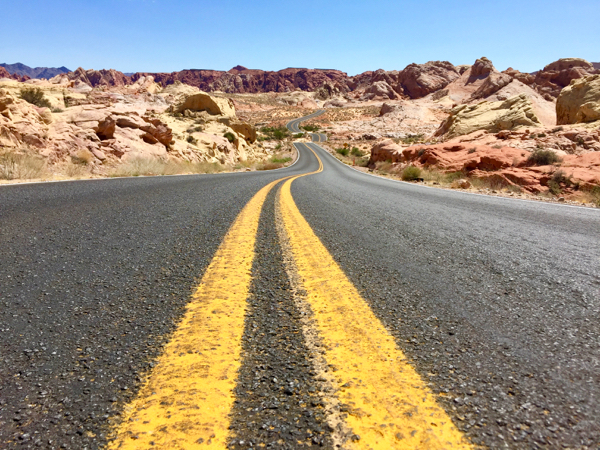 Don’t worry, though: check out these tips below to create a whole exterior area for your RV when you arrive at the campsite! 34. 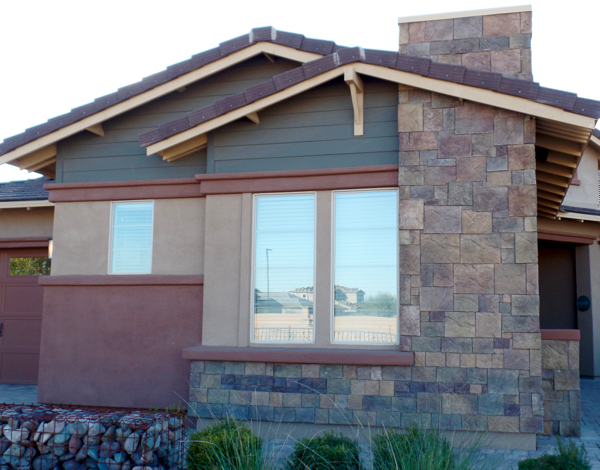 Home is Where the Mat Doormat – If home is where you park it, then it also must be where the mat is. 🙂 Keep your RV floors clean and tidy with this funny doormat! 35. Another Day in Paradise Doormat – Want to add the tropics below your door?? This is the perfect way to do so! 36. Awning Hooks – It’s time to get your trailer or motorhome’s awnings ready for a spectacular light display! 37. Battery Powered String Lights – This is seriously one of the most fun ways you can decorate your RV! There’s nothing quite like having a outside meal under the lights and RV awning. 38. RV Duct Tape – Instead of bringing any ol’ duct tape to fix any issues that come your way, get some RV duct tape instead… talk about epic! Now that you’ve seen these RV Decor Ideas, don’t miss out any more! 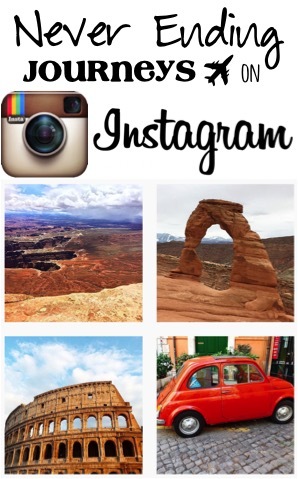 Follow along with Never Ending Journeys for more fun Travel Tips, Easy Recipes, and Decor Hacks! What are YOUR favorite RV Decor Ideas?? Leave a comment & share!